Does The “New” Fitnessform ZGT Z10 2-in-1 Cross Trainer Bike Impress Its New Users? 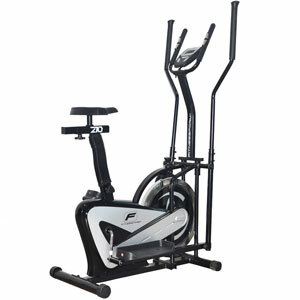 The Fitnessform ZGT Z10 Cross Trainer Bike is a 2-in-1 model that is out to impress. The specification talks about a new “summer 2017 design”, which suggests some improvements that should benefit users further. This is definitely a good looking machine, with the black and silver effect and the different angles. There is not much else in the specification to signal any major changes, apart from a new range of motion to the seat and a new aero flywheel of 5.5kg. Is this enough to keep users interested? Can The Fitnessform P1100 2-IN-1 Elliptical Cross Trainer Surprise Buyers With Its Design And Function? 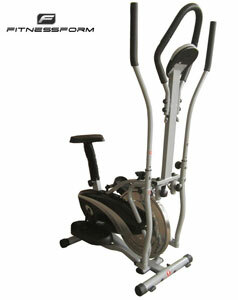 There are many clever-sounding technological features in the specification for the Fitnessform P1100 2-IN-1 Elliptical Cross Trainer including the micro section tension control, which allows for the manual adjustment of resistance levels, and the chain transmission system, which is combined with a flywheel. Many customers initially bought this exercise bike/cross trainer because of its duel function and space saving nature but this specification suggest that it could potentially exceed their expectations. Is this the case?